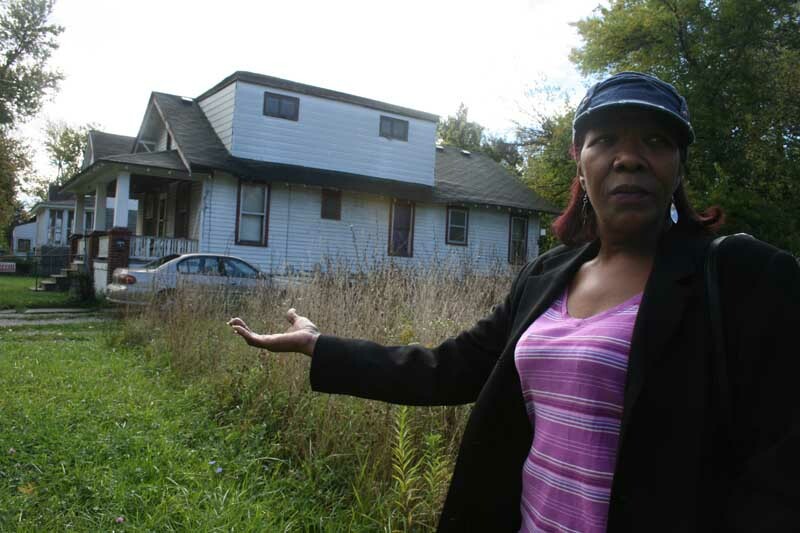 SAGINAW - Standing by the weed-choked vacant lot next to her home, Saginaw resident Linda Williams had a simple question. Williams, 56, a cook for a local Head Start program, has lived in her home south of downtown more than 30 years. She said she called the city twice this year to complain about the weeds, to no avail. But things get that way when a city's finances collapse and it tries to cut its way to solvency. Police and fire – normally the last services a municipality will compromise – have not been spared. The city has slashed its police force to 55, a quarter of its staffing level in 1975. Its fire department is staffed at 50, about half what it was in 1995. Saginaw’s streets have steadily deteriorated, with 90 percent of its roads rated in poor or fair condition last year. The city’s outdoor swimming pools have been closed for decades. And earlier this year, officials announced the city would no longer cut weeds in most of the 5,000-plus empty lots scattered around the city. It couldn't afford the annual $200,000 cost. Saginaw’s response to its city debt is an example of what Michigan State University professor Eric Scorsone calls “service-level insolvency” – the point where financial cuts reach so deep they bleed life from a community. “If cities can't provide the services that people expect, they are not going to be able to attract people,” he said. But given decades of decline, it's difficult to see how Saginaw could easily have avoided this self-destruction. In 1970, with a population of more than 90,000, the city's economy was humming thanks in large part to some 15,000 auto-related jobs. By 2010, plant closings reduced that to fewer than 2,000. Population plummeted to 77,508 in 1980, and barely tops 50,000 today. Property values plunged. The Great Recession of 2008 accelerated the pace of home foreclosures and abandoned properties. In September, Saginaw was ranked as nation’s third most violent city per capita, according to 2012 FBI statistics for cities over 50,000 people, with more than 1,200 violent crimes. Much of what has driven Saginaw’s budget-chopping are hundreds of millions of dollars in pension and retiree health-care debt. According to a report Scorsone co-authored for Michigan State University this year, Saginaw’s unfunded retiree health care debt in 2011 was about $200 million. It had more than $100 million in unfunded pension debt. Saginaw is on target to spend more than $9 million this year on retiree health care, leaving less to pay for basic services for residents. Adjusted for inflation, Saginaw spent nearly twice as much from its budget in 1978 as it would two decades later, when it spent $33 million. Over that period, the city cut community services by more than 70 percent. Saginaw City Manager Darnell Earley told the MLive news site earlier this year that the cost of retiree health care is “creating a severe hardship” in the city's ability to provide services to its residents. Earley is now emergency manager in Flint. Under the “broken windows” theory of neighborhood stability – first advanced in the 1980s – a neighborhood’s decline will accelerate when basic property maintenance, such as a broken window, is ignored. Roger Williams, a Maryland-based community development specialist, said the same can be said for vacant lots that are not mowed. “When you make those kind of choices, you end up devaluing homes,” said Williams, former senior fellow for neighborhood development for the Annie E. Casey Foundation, a nonprofit. “You make it impossible for people to sell their homes or move if they want. The ramifications are long term, not just short term. It's hard for cities because they have to make hard choices. A few blocks from Linda Williams, lifelong Saginaw resident Madeleine O'Neal said she has watched a steady decline on her block since she purchased her home. A street once filled with neighbors is now pockmarked with abandoned homes. The empty homes were torn down. Then, vacant lots became fields of weeds. O'Neal, 62, said she, too, has called to complain. “I get no kind of response. We pay our taxes. We pay and pay and pay and what do we get for it?" The simple fact is that the residents are going to need to mow the vacant lots. If the city can't afford the costs, residents must step up to the plate. It generally doesn't really take much effort to mow the next door lot when you finish mowing your own.